There seems to be no end to discussions and reports about the digital revolution, digitalization, and digital transformation. Despite the inflationary use of these buzzwords, one of the biggest challenges companies currently face is understanding how to make effective use of the new technological possibilities. Digitalization is far more than just a fad − it helps companies reduce their costs, increase efficiency, and be ready to level up to the next stage of their own innovative ability. Many of our everyday activities are already virtual, both in the private and the commercial sector. Shopping at the supermarket, for instance, will likely be a time-saving cashless experience in the future, as demonstrated by recent examples from the online giant Amazon and the MediaMarktSaturn consumer electronics retailer. The potential arising from digitalization is nothing short of staggering. With the recent breakthroughs in augmented reality, speech and image recognition, and artificial intelligence, there are virtually no limits to what we can achieve in the future, at least from a technological point of view. Intelligent robots have been a dream of the scientific community for many years. Today, what was once science fiction has become reality − with impressive results. Artificial intelligence has already made its way into our lives without us even consciously noticing it. Chatbots in customer service or helpful gadgets such as Siri, Microsoft Cortana, and especially Alexa are making everyday life easier. They answer questions, serve as cheat sheets, manage household appliances, and remind us of appointments. But digitalization also offers enormous opportunities for businesses. For instance, the successful implementation of Cobots, collaborative robots that are equipped with sensors, is opening up an entirely new form of collaboration. They use sensor technology to register the movements and positions of people. In this way, they can assist employees directly without exposing them to risk of injury. 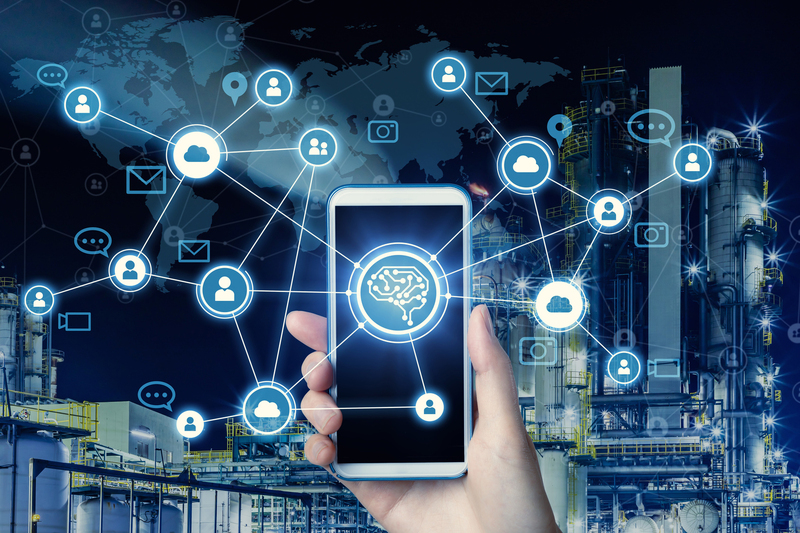 Further concrete examples include combining cognitive tools with AI to virtualize manufacturing life cycles and enable individualized mass production. Digital solutions can reduce costs enormously while significantly increasing company efficiency. Digital smart home platforms will soon become the standard in most homes. Major advances in the field of "Internet of Things" make it possible to steer and monitor everything remotely − especially in the living area, with lighting and heating systems, kitchen appliances, and even alarm systems. Intelligent home systems make it possible to answer questions or order products from the Internet using voice control. Even cars can now be easily operated using intelligent systems. Autonomous driving has long been a reality and the progress is remarkable. Digital technologies promote the emergence of new business models, new products, and the development of an unprecedented service to customers. The time to seize these opportunities is now.